( Leah Hogsten | The Salt Lake Tribune ) New Utahn Phillip Melfi hit the slopes at Snowbird in December using his new Ikon pass from Alterra Mountain Co.
Park City • Colorado skier Sarah Mytych wanted to try the slopes in Utah and Canada. New Utahn Phillip Melfi wanted to get to know the state’s resorts better. Both bought a new Ikon Pass for this season, the first competitor to approach the breadth and depth of offerings of Vail Resorts' industry-changing Epic Pass. It launched 10 years ago, giving holders unlimited skiing across resorts within the Vail umbrella. Alterra Mountain’s Ikon Pass launched last spring at a number of resorts across the world, and its first season included five resorts in Utah (Alta, Snowbird, Deer Valley, Brighton and Solitude). Although it’s the new kid, the Ikon Pass has already made a splash, something officials from both resort groups say is good for skiers and the slopes they love across the world. “The Ikon Pass has been good for the industry as a whole and reinforces the notion that ‘If you ski, you should consider a season pass,’” said Johnna Muscente, director of communications for Vail Resorts Management Company. 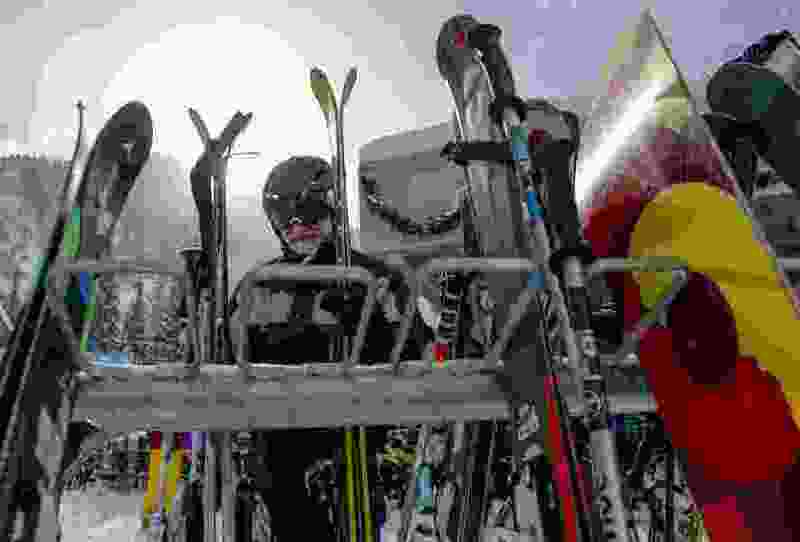 The company sold 21 percent more Epic passes — with a 13 percent increase in revenue — in North America this season, after selling a record number of passes in the 2017-2018 ski season, she said. For unlimited access to 21 resorts, the 2018-2019 Epic Pass went for $899; for the Epic Local Pass, with restricted access to 27 resorts, skiers paid $669. Neither Epic pass is still available for the current season. By comparison, an adult season pass for Park City Resort cost $709 this season, and is likewise no longer available. Although the typical season pass had always encouraged its holders to come more frequently, Muscente said, the Epic Pass was the first to give skiers and snowboarders the chance to go when and where they want. That freedom extends to far-off slopes they might not have considered going to before, she said, and allows them to mitigate dry winters by providing access to resorts in various climates and regions. These shifts in behavior and attitudes have become apparent throughout the industry, said Erik Forsell, chief marketing officer of Alterra Mountain Company, and even smaller resorts are looking to join the movement. The Ikon Pass, priced this year at $899, gives unlimited access to 14 Alterra resorts, including Solitude, and limited access to Deer Valley, another Alterra resort. But Forsell said partnerships born out of years-long relationships with 23 independent ski resorts, including Brighton, Alta and Snowbird, will give pass holders up to seven days of access to these resorts as well. The Ikon Base Pass, at $599 this year, gives skiers unlimited access to 12 resorts and up to five days at the other 25 ski resorts owned by or partnered with Alterra. Neither Ikon pass is still available for purchase this season. By contrast, a season pass at Solitude — which includes two days at Alta, Snowbird and Brighton, and four days at Deer Valley — is priced at $1,299 for the 2018-2019 season. For Mytych, a Denver-based graphic designer, the Ikon Pass has already proven to be a huge step up from the Rocky Mountain Super Pass+, which she purchased for years before it was discontinued and replaced by Ikon. Forsell said the point of the Ikon Pass is to allow and even encourage those partnered resorts to continue to operate independently. Alterra said sales in the first year the pass has been offered far surpassed expectations, but the privately held company declined to specify its sales or projections. Forsell said he is most excited to see the map of where pass holders went and when. Those new visitors include people like Mytych, who hit the Utah slopes for the first time last week with her Ikon pass. “I haven’t skied Utah before, but Alta, Snowbird, Deer Valley and Solitude have been on my bucket list since I was a 15-year-old dreaming ski dreams in Wisconsin. So when the Ikon resort list was announced, a week in Utah was [my] No. 1 trip goal,” she said. Mytych said her favorite resorts haven’t changed, but she is relishing the new slopes now open to her. “I also have flights already booked to Calgary to hit Banff and Lake Louise resorts later this year,” she said. Melfi, who moved to Utah in September for a job, picked the Ikon pass to help determine which Utah resorts are his favorites. He’s visited the state to ski and snowboard, but now that he’s living here, he wanted to do a personal study of his options. “I wanted to try a lot of different places and find out what I liked best,” he said. Melfi spent a few days in December at Snowbird Resort with his sons. And it might be the one he picks next year — when he plans to drop the Ikon pass for just one resort, he said. So far, the season is shaping up well, said Caitlin Furin, director of communications for Ski Utah. Early storms gave Utah a strong start, and she expects the same upward trend that gave the state a record 4.1 million skier days last year will continue through this winter. Perhaps the most important contributions that passes like Epic and Ikon make, she said, are the increased visibility for resorts, a longterm focus for company marketing and the required early purchases, which help resorts plan ahead. Corrections: An earlier version of this story misspelled the Alterra Mountain Company Chief Marketing Officer’s first name. Also, the Ikon pass includes limited access to Brighton, but not to Brian Head, and the price of the Ikon base pass this season was misstated.